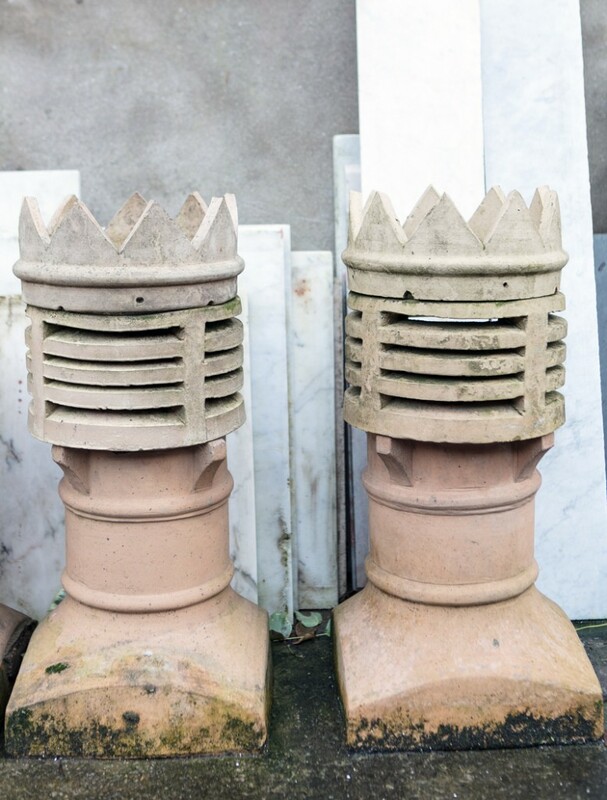 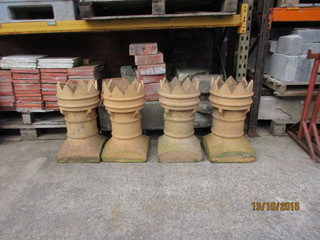 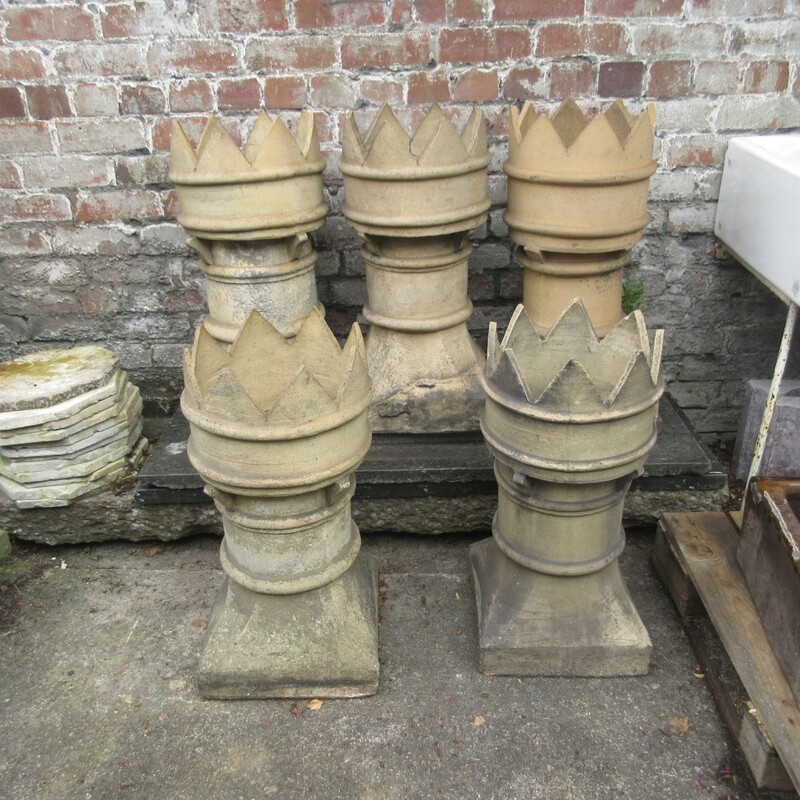 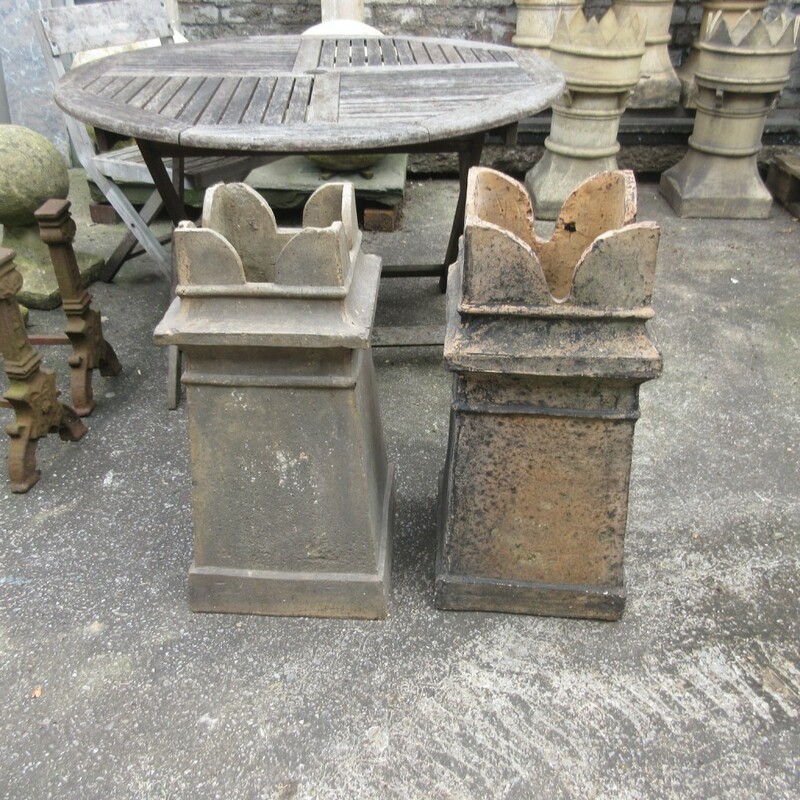 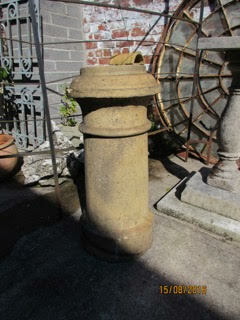 Set of 4 crown buff chimney pots in very good condition 28 inches high, each one cost £140. 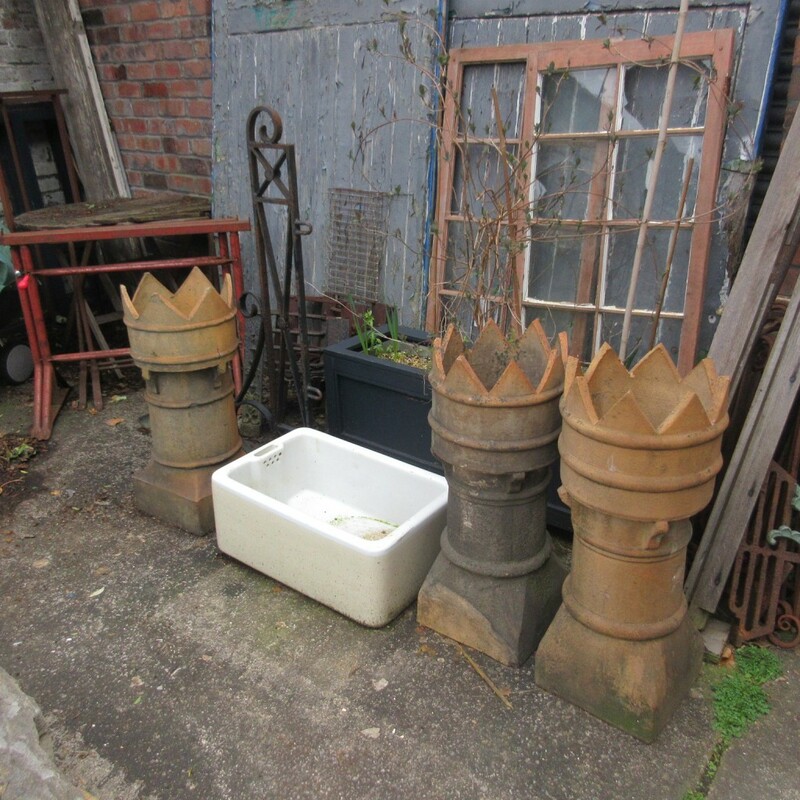 Set of six buff chimney pots very good condition. 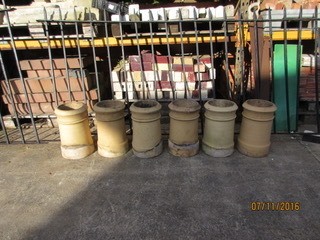 Each one cost £95.